Prior to installing the wings for Saturday’s tech councilor inspection, decided it was time to install the seat belts in the RV-12 while it could be still be done standing adjacent to the fuselage. The seat restraints consist of a lap belt, two shoulder harnesses and a crotch strap. Instillation is a snap using AN4 hardware and bushings for the harnesses to move on without scoring the bolts. The crotch straps are a little tricky to get positioned but not really anything worth commenting about. Completed instillation of the RV-12’s seat restraints. Friday, after installing the seat restraints, the whole ground crew was available to help mate the wings on the RV-12’s fuselage again. The wing’s spar pins are tighter than I would prefer, so will sort that out later. Think the F-1204R retainer blocks need to have a little material removed because it appears they are touching the top of the spars and preventing the spar from sliding in the last 1/32" or so which is making getting the spar pins installed a really tight fight. With the help of the ground crew, the wings were once again mated to the fuselage and now the eagle is ready for the EAA (Experimental Aircraft Association) inspection. Ground crew from left to right Mike T., Bernie, Mike K. and yours truly. While in the process of installing the wings decided to install the previously mentioned gap seal that is a nicer looking option than the foam seal Van’s provided with the kit. An automotive edge trim was installed which is 1/8" thick between the inside of the slot and the outer edge which is exactly what the gap is to be between the fuselage and the wing skins. Automotive rubber edge trim gives the wing to fuselage mating on the DOG Aviation RV-12 a classy finished look. After the wing instillation was completed on Friday, the EAA inspection took place on Saturday morning. Jim Strock is an A&P mechanic that volunteers his time as part of an ongoing safety program that the EAA has available for members building experimental aircraft. The idea is to have a knowledgeable and experienced person inspect the aircraft being constructed during various phases of construction to insure standard assembly practices and techniques are being followed and there are no builder created safety issues are being created by the manner in which the aircraft is being assembled. This is strictly a volunteer program which I feel is beneficial to the experimental aviation community and wanted to participate in. EAA tech councilor Jim Strock is a FAA certificated A&P aircraft mechanic with many years of aircraft maintenance under his belt. Jim currently teaches hands on aircraft maintenance at a training facility. 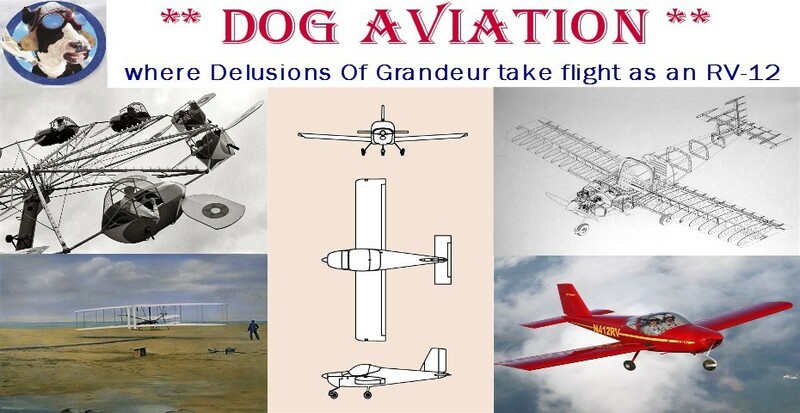 Jim praised the quality of workmanship going into the DOG Aviation RV-12 and was amazed at the amount progress since his last visit towards the end of last year. Fortunately, there were no issues that caught Jim’s probing eyes other than the lose wires for the yet to be installed voltage regulator.